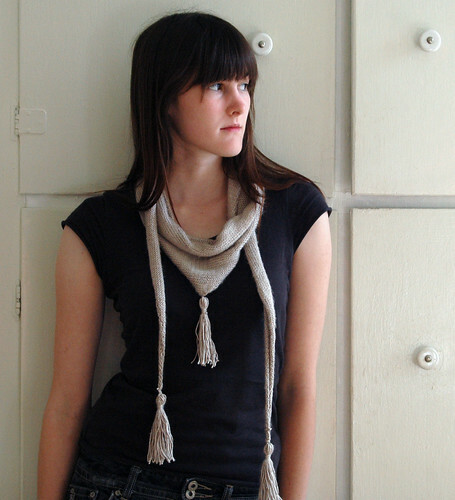 dull roar: Dandy Scarf- Pattern, yay! 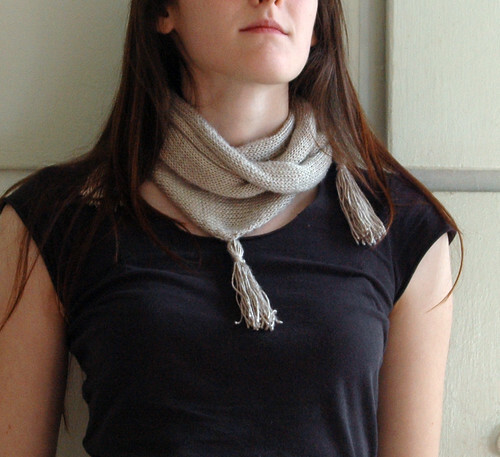 This scarf is kind of silly, and I like it. - Pure silk is tricky to work with. It's fuzzy and slippery all at once, and if your hands get clammy it sticks to them. But it's kind of totally worth it. It feels sooo good. - If you don't want to use silk (and I don't really blame you) pick something with good drape, like a silk or bamboo blend, or maybe alpaca. 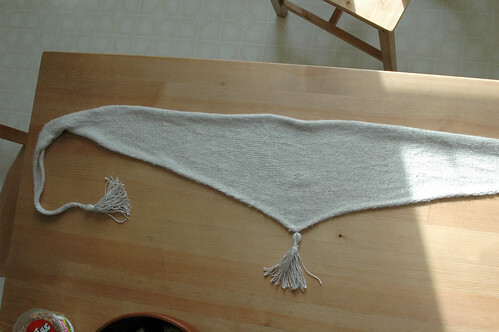 You may want to go up a needle size to maximize drapey-ness in a less drapey fiber. 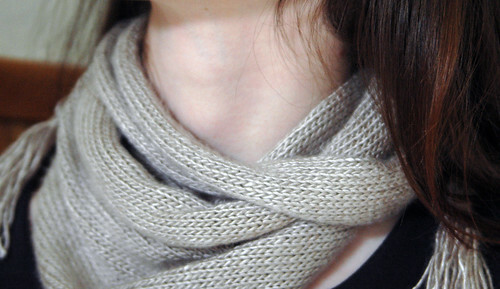 Pure Silk is DK weight, and I'd be hesitant to go up much bigger than that, but hey, it's your scarf. - I am someone who sometimes ignores perfectly good advice like "only attach yarn at the end of the row." DO NOT IGNORE SUCH GOOD ADVICE. My poor scarf looks like it has a scar, if you hold it up to the light. Do as I say, not as I do. Want it? Here ya go! Silly? Maybe. Really cute? Yes! I love it, especially when you do that double wrap thing. And '80's perm? Yeah, I had one of those. Use your imagination, and then some! I'm working on your pattern right now using Debbie Bliss Pure Silk. 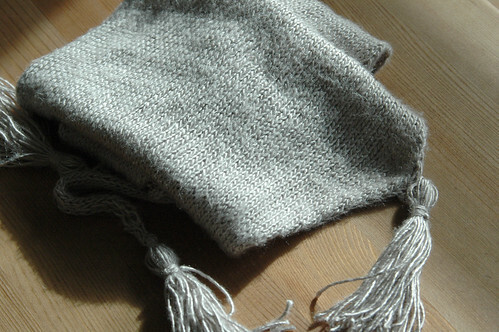 I ordered two skeins, but I was wondering if that is enough to make the full scarf with the tassels? Like once you made the body, you had enough left over to make three tassels, or should I just save myself some time and order a third skein now so that I'll have enough? I got the entire thing, including tassels, out of two skeins. That said, I used every last drop of those two skeins. If you're worried it might be nice to have a third, or you could stop a few rows before the prescribed middle and start the decreases there instead (to make a ever-so-slightly smaller scarf).